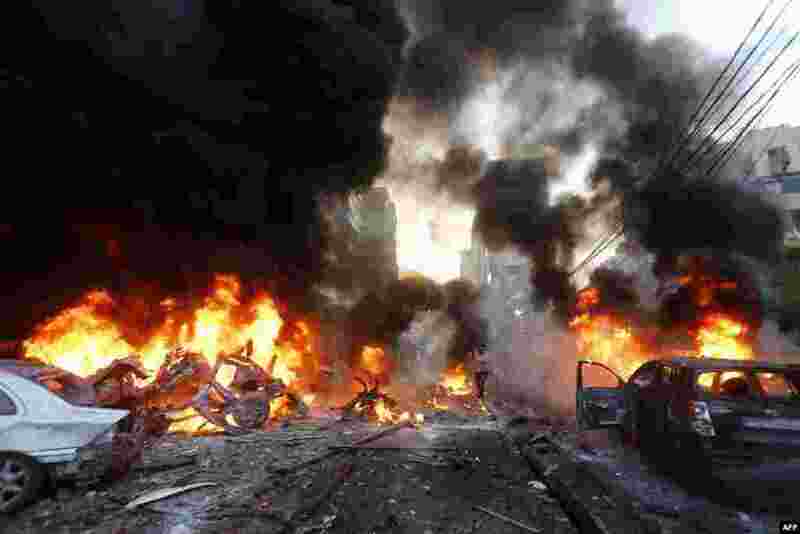 1 Flames rise from burning cars at the site of a car bomb in Beirut's southern suburb of Haret Hreik, Jan. 2, 2014. A large car bomb killed five people and injured at least 20, a health ministry source told AFP. 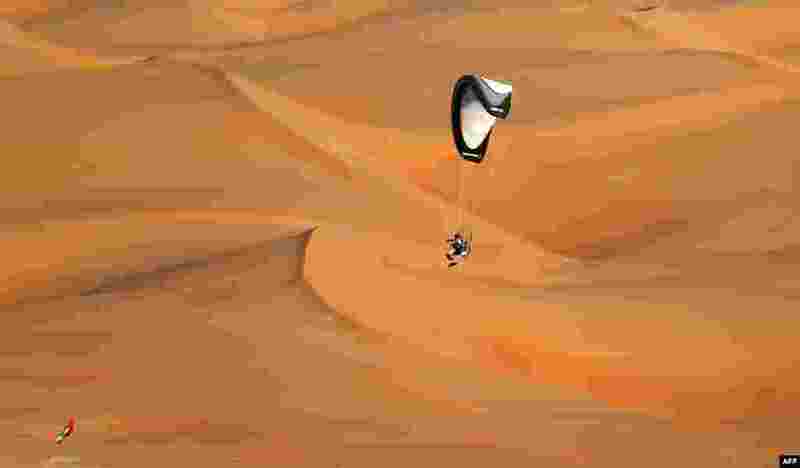 2 A pilot flies on his paramoter above sand dunes during the Liwa 2014 Moreeb Dune Festival in the Liwa desert, 250 kilometers west of the Gulf emirate of Abu Dhabi, Jan. 2, 2014. 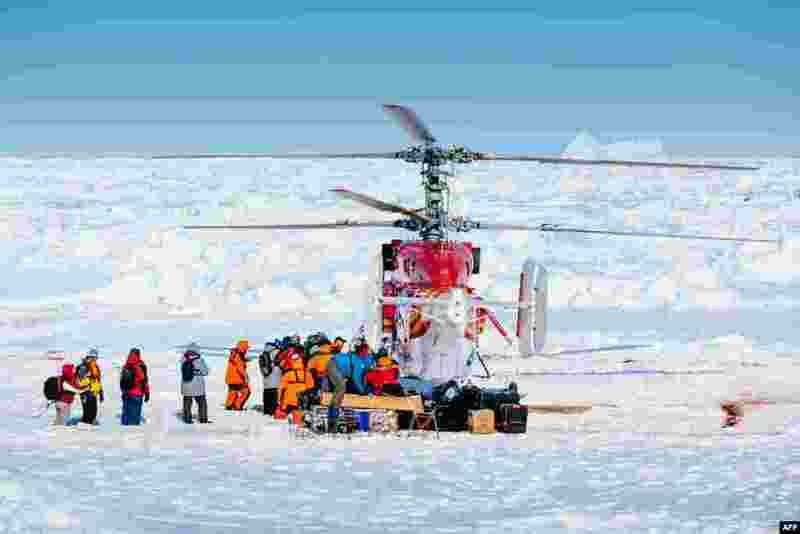 3 This image taken by expedition doctor Andrew Peacock shows a helicopter from the Chinese icebreaker Xue Long picking up passengers from the Russian ship MV Akademik Shokalskiy. Rescue efforts took place after the Russian crew was trapped in ice off Antarctica for more than a week. 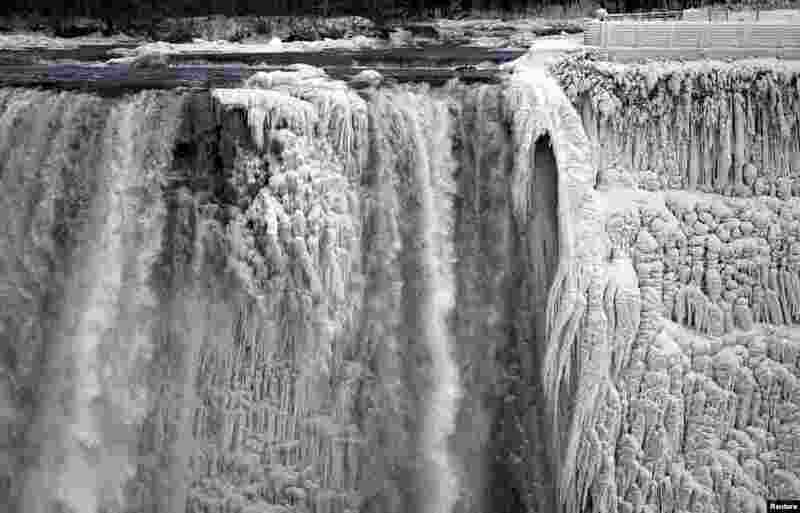 4 The U.S. side of the Niagara Falls is pictured in Ontario, Jan. 8, 2014, during frigid air and the "polar vortex" that affected about 240 million people in the United States and southern Canada.